Acting President Sonya Stephens announced in an email to the Mount Holyoke College community on Wednesday, March 21 that Kijua Sanders-McMurtry had been appointed the College’s first vice president for Equity and Inclusion and Chief Diversity Officer. 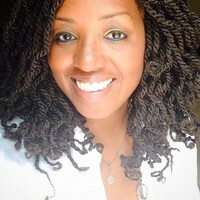 Sanders-McMurtry will be joining Mount Holyoke College on Aug. 6 from Agnes Scott College in Decatur, Georgia, where she has served as the associate vice president and dean for community diversity since July 2016. The Chief Diversity Officer role is new to Mount Holyoke, and will allow her to have flexibility in her approach to developing programming and training for faculty, students and staff. Mosby explained that the need for a Chief Diversity Officer on campus stemmed from three major developments that have taken place over the past few years: conversions starting as peer institutions have signed on diversity officers, feedback from the BOOM! conference and looking at past efforts by the College to enhance diversity and inclusion. An executive search was held to find those best suited to Mount Holyoke’s environment and whose skills would best contribute to the community. Databases of people already known to the College were combed, extensive networking took place and recommendations were received all by the search committee until they had narrowed the long list down to seven candidates. First interviews were held with these seven people and the search committee discussed who they wanted to come to campus to meet with different campus constituents. From there, four were selected to come to campus and gave presentations to the community. After assessing feedback from faculty, staff, students and college officers, the search committee submitted their recommendations to Acting President Sonya Stephens, who approved the decision. The involved selection process is something that stood out to Sanders-McMurtry. “I was inspired by the fact that it was apparent that the campus community worked in tandem with one another, but in particular that the movement was led by students who believed deeply in the need for a Chief Diversity Officer at the executive level,” she said.